VIT University, which is known for creating record and recreating records has created history this year in the number of applications sold for VIT Engineering Entrance Examination 2015. Vellore: VIT University, which is known for creating record and recreating records has created history this year in the number of applications sold for VIT Engineering Entrance Examination 2015. This year the VIT university has sold 2,02,406 application forms for VITEEE whereas the number was 1,93,790. This year the university received 8,616 more applications, which shows the brand’s reputation among students not only in Chennai but all across the nation. 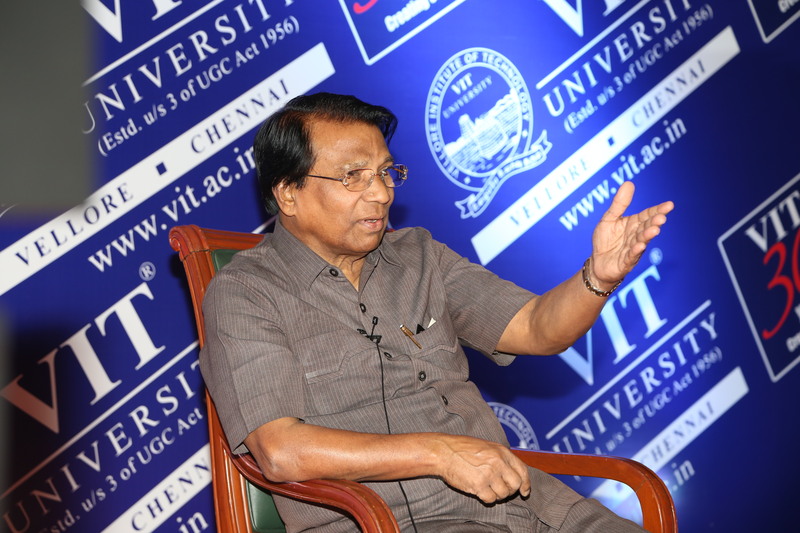 Announcing the achievement at a press conference in Chennai, VIT University’s founder-chancellor Dr G.Viswanathan said that the University’s record placement this year and its thrust to create innovation in academics had propelled the increase in patronage among students, especially from the Northern part of India and non-resident Indians. Among the prominent centres in India, Uttar Pradesh tops the chart with 27604 registrations, which includes 22996 male students. Second on the list is Andhra Pradesh with 25087 registrations followed by Bihar with 17314, Maharashtra with 15932 and Telangana with 13134 and Tamil Nadu with 13647 registrations. While Hyderabad has registered 13846 candidates, Delhi has registered 14219, Kota has registered 10009, Patna has registered 8585, and Vijayawada has 9165 candidates. Chennai has registered 6229 candidates and Vellore 2409. VIT Engineering Entrance Examination (VITEEE) to be held as Computer-Based Test from April 8 to 19 in 112 cities across India, besides Dubai and Kuwait for admission to B.Tech programmes offered by VIT University, Vellore and Chennai. Dr Viswanathan also said that the university would announce VITEEE results on or before April 30 in various websites including www.vit.ac.in, www.schools9.com, www.indiaresults.com, www.minglebox.com, www.shiksha.com, www.bharathedu.com and www.examresults.net. The counselling for admissions will begin from May 11 to 16, 2015, with each day divided by the ranks in ascending order. The counselling for those with ranks up to 8000 will be held on May 11, followed by those with ranks up to 12,000 on the 12. Ranks up to 16000 will sit for counseling on May 13; and those with ranks up to 20,000 will sit on May 16. To help deserving students get high quality education at VIT, the university has instituted special scholarships. Dr Viswanathan said that Central and State board toppers would get 100 per cent fee waiver for all four years. “VITEEE ranks holders between 1 and 50 will be given 75 percent fee waiver, while those in the bracket of 51 to 100 will be given 50 percent and between 101 and 1,000 will be given a 25 percent tuition fee waiver,” he said. To encourage more Tamil Nadu students to study in VIT, the university has been offering 100 per cent waiver in tuition fee and exemption from hostel fee for two plus two toppers from each district in the state under the Supporting the Advancement of Rural Students (STAR) scheme. “This effort has been made to ensure that high scorers from each district who have poor economic background get their due and are given the best of education,” said the Chancellor. Speaking about the need for reforms in higher education, Dr Viswanathan, who heads the Education Promotion Society of India (EPSI), said that their society submitted recommendation to the union human resource development ministry (MHRD) urging it to award autonomous status to more universities and colleges in the country. “We also want to do away with stringent regulations and excessive controls, which encourage corruption in the education system,” he said. Disclaimer: The information provided in this Notification is solely by VIT University, Jagranjosh.com bears no representations or warranties of any kind, express or implied, about the completeness, accuracy, reliability, suitability or availability with respect to the information. Individuals are therefore suggested to check the authenticity of the information.